The Red Deer and Central Alberta real estate market is has a lot of activity even in a “slower market.” We all know the local market’s been rather stagnant but it’s important to also know, even in a slower market, there’s a lot going on that makes it as complex as any. Almost 4000 properties sold in the Central Alberta market over the last 12 months and each city and town has its own specific market characteristics. If you are planning to buy your first or next home soon, or if you’re planning to sell, it’s important to know your market. For example, inventory rates impact your pricing decisions and monitoring sales can indicate what direction the market is heading. When I first started as a Realtor in 2007 there was little in the way of stats, news, and information available specific to Central Albertans, and even less specific to the individual towns and cities within Central Ab. It was frustrating to search for local news and only find Calgary and Edmonton news. Immediately I knew there was a need for local information. I started tracking specific stats and sending them to my clients by email. Everyone I knew with plans of an upcoming real estate transaction appreciated knowing whether more homes are selling or if average prices were increasing. Of course, sellers hoped prices were increasing and buyers hoped they were decreasing. As feedback rolled in I decided to start a local real estate news blog and website for Red Deer and Central Ab. The blog/website I started is called www.HomeScope.ca and each month I post as much info I can to help local buyers and sellers. In addition to posting important stats like months-of-inventory, average prices, sales numbers, and sales vs. new listing comparisons, I post relevant info such as preparing your home for sale and steps buyers can take to prepare better. There are a lot of real estate websites in each market because each Realtor has one or two. 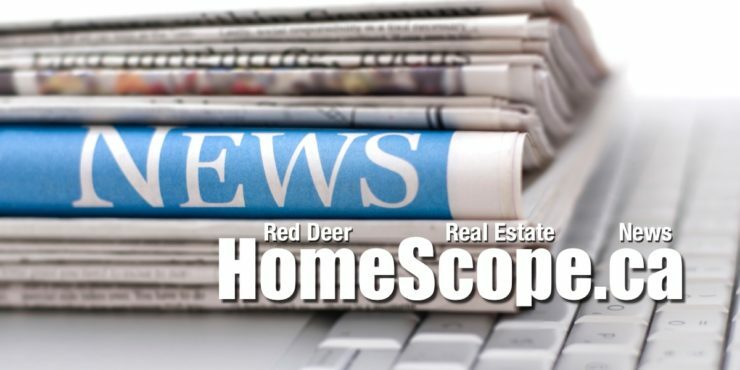 But www.HomeScope.ca stands apart with the number of articles, stats and important information posted each week. Check in at HomeScope.ca each week if you’re planning to buy or sell even if you just like know your market!